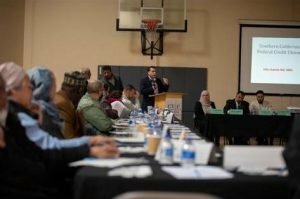 On February 2, 2019, the Executive Director of the South Florida Muslim Federation, Nezar Hamze, met with the leadership and members of the Islamic Shura of Southern California. 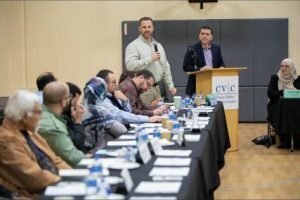 Their quarterly general body meeting was located at the Chino Valley Islamic Center. 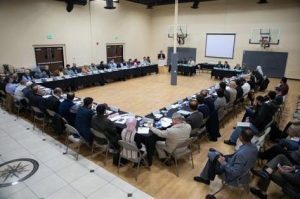 The Islamic Shura of Southern California is made up of 63 Islamic centers and organizations and has been in existence for the last 24 years. During this visit, Nezar spoke to members of the Shura as well as the leadership to learn best practices and the do’s and don’ts of community-wide work. 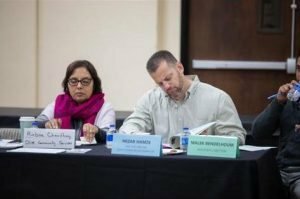 The South Florida Muslim Federation is committed to unifying and strengthening the Muslim community. Our mission is to be a resource sharing hub that connects, empowers, and serves South Florida Muslim organizations.